Get your brand in front of 14,000+ influencers. 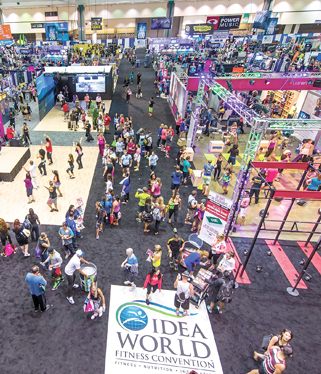 Exhibit at the IDEA World Convention and reach the world's most passionate and dynamic brand ambassadors who influence millions of consumers each week. Call or email IDEA today to find out more about how we can get your brand moving. Katherine Denny: kdenny@ideafit.com or 800-999-4332, ext. 215. Connect with a brand strategist to get your products and services in front 275,000 of the world’s most influential network of health and fitness advisors.